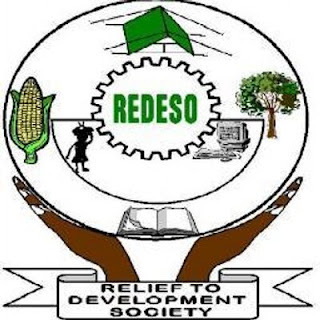 Vacancy for Deputy Chief Executive Officer Relief to Development Society (REDESO) is a National Non – Governmental Organization (NNGO) whose vision is “A Community where refugees and other vulnerable people have access to equal opportunities”. In partnership with United Nations High Commissioner for Refugees (UNHCR) is implementing humanitarian projects in Dar es Salaam, Kibondo and Kakonko Districts in Kigoma and Ngara in Kagera Regions and development projects in other areas in the country. Part of the funds allocated to these projects is intended to be spent for hiring a qualified Tanzanian person to serve as Deputy Chief Executive Officer (DCEO) of REDESO. Therefore, REDESO is seeking to recruit a motivated, result oriented, qualified and competent person to fill the position. The incumbent will report to the CEO and shall be responsible for providing assistance to CEO on day to day business of the organization, overseeing the field office operations, coordinating the REDESO programming in all intervention areas, including innovation and business development, resource mobilization, risk management and monitoring and evaluation. Managing and directing the organization towards its primary objectives, based on corporate mission statement and goals, by performing the essential functions and responsibilities. This is a permanent job with annual contract renewable based on performance and based in Dar es Salaam. The candidate must possess a Post Graduate Degree in relevant discipline from a reputable University or equivalent qualifications from a recognized University. PhD will be an added advantage. At least five (5) years extensive and successful experience in project planning management, humanitarian and development programs, handling donor funded projects in particular UN Agency funds and other Development Agencies. Must have an experience of working at the Senior Level with minimum supervision. The ideal candidate must also possess a high degree of honesty, Integrity, Visionary leadership, professionalism, Responsiveness, Respect, Team work spirit and Volunteerism. • Clear understanding of systems management. • Highly developed influencing, persuading and communication skills. • Able to get key messages across on complex issues. • Able to establish and maintain relationships with key people, both internally and externally. • Evidence of successful track record of achieving results in a senior leadership role. • Ability to innovate, to recognize challenges, analyze problems and apply effective solutions. • Ability to manage a highly complex portfolio and deliver a wide range of objectives within the time available. • Procurement and contract management skills. • Personal energy and resilience. • Ability to think strategically without losing touch with day to day service delivery. It is only shortlisted candidates will be notified for interview. Eligible candidates should submit their application letter, resume (with three referees), personal statement of not more than 700 words indicating his/her suitability to the intended post and copies of relevant certificates to the following address. E mail: redeso-hq@redeso.or.tz not later than 19th December, 2017.